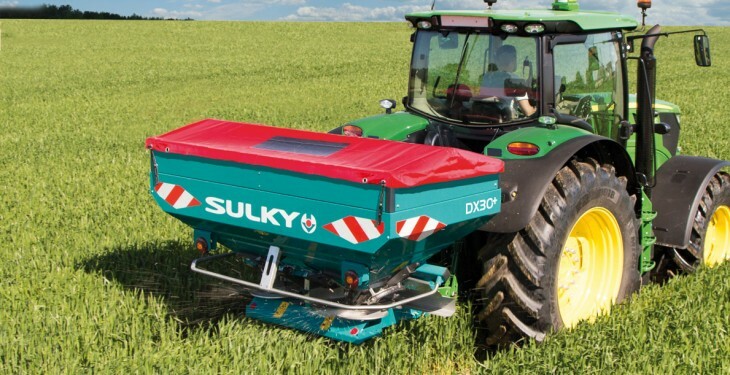 Sulky, the French manufacturer of fertiliser spreaders, seed drills and cultivation machinery, has introduced a new generation of fertiliser spreaders. Designated the DX Series, this new range is designed to provide increased accuracy, higher capacity, more spreading widths and increased operator comfort, Sulky says. Hopper capacities are available from 900L up to 3,000L and spreading widths range from 9m up to 36m. Located at the back of the spreader, adjustments are made away from fertiliser and moving parts, by two simple and logical controls for setting the application rates and working widths (a Sulky patent). Accuracy and consistency is guaranteed, according to the company, with full width overlap between inward and outward passes with high tolerance to setting errors, cross winds and low quality fertiliser (a Sulky patent). With the outlet shutters located on the sloped wall of the hopper and the pulsating rate regulator a constant and consistent flow of fertiliser is assured irrespective of the weight of fertiliser in the hopper, Sulky says. All working parts are made from stainless steel and the one piece stainless steel hopper bottom (with no welds – exclusive to Sulky) provides constant delivery of fertiliser and total emptying of the hoppers. The heavy duty chassis is manufactured from high elasticity steel and features a high resistant paint finish. The gearbox carries a three-year manufactures guarantee. The new DX Series complements the established Sulky X Series with hopper capacities up to 4000 litres and spreading widths from 18-50ms. 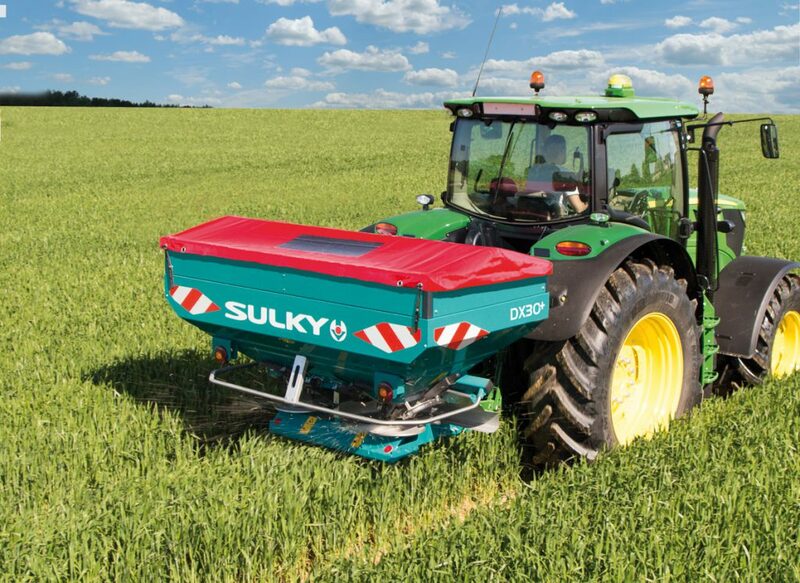 Sulky also offer a range of trailed fertiliser spreaders with hopper capacities up to 13,000 litres and spreading widths up to 50m.